*Note: myHEALTHware can now be used inside SOAPware on Windows XP computers. To use myHEALTHware inside SOAPware on a Windows XP computer, Windows XP Service Pack 3 must be installed. Enter the Username and Password that you created during your myHEALTHware registration, then click the Log In button. 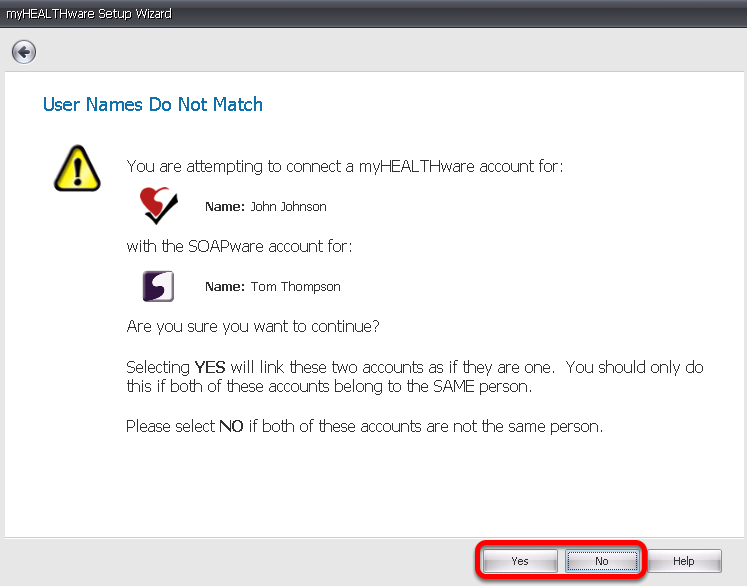 Before this myHEALTHware account is connected to the current SOAPware user, the Setup Wizard checks to make sure the name of the current SOAPware user matches the name of the myHEALTHware account. Click Yes only if the SOAPware user and the myHEALTHware user are the same person. Click No if the the SOAPware user and the myHEALTHware user are not the same person. 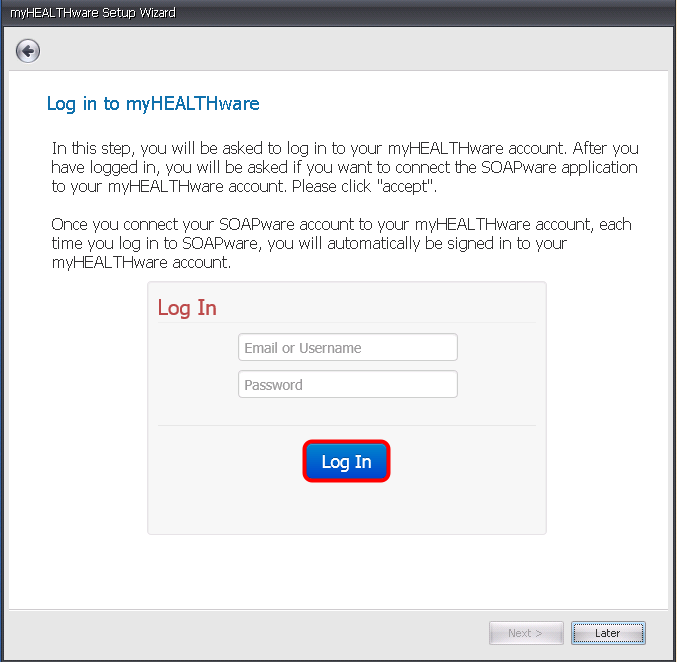 If not, you will need to enter the myHEALTHware account information for the current SOAPware user that is logged in. The next step will allow you to set up your clinic organization to be used with myHEALTHware. This will require you to enter your clinic name, and a brief description of your organization. If you are not prepared to enter this information at this time, click Later to return to the Setup Wizard at a later time. To continue to the next step, please click the following link: Set Up the myHEALTHware Organization.